With its spacious cabin and appealing looks, the fifth generation Toyota RAV4 is a strong contender in a crowded segment. The SUV segment is not as simple as it used to be. As car manufacturers evolved with times, so did their SUVs. Today, these cars have become the favourite choice of weapon for many buyers, thanks to their funkier styling, superior quality and a functional advantage over sedans and hatchbacks. 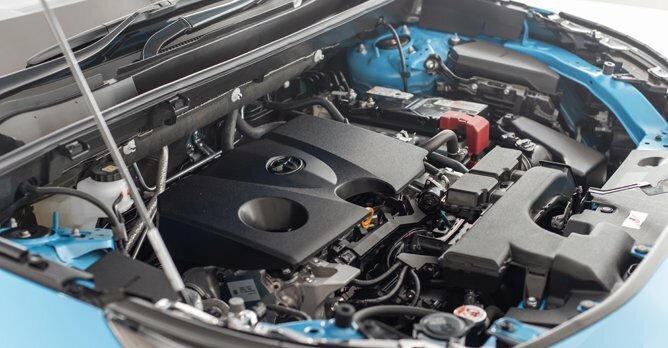 And it's no different with the all new fifth generation Toyota RAV4. 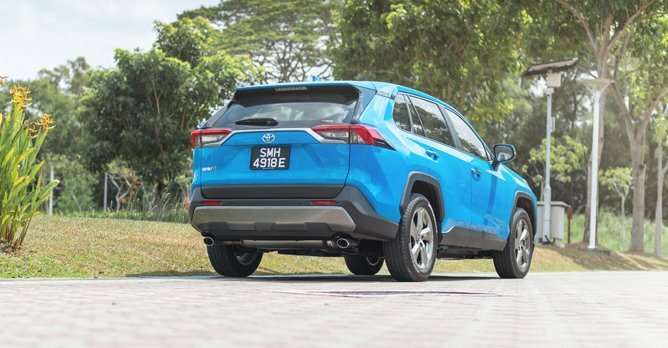 Thanks to the car's dramatic yet appealing design that will not look out of place when parked beside an Audi, the RAV4 sports ample road presence, even if it isn't styled as loud as its smaller Toyota C-HR brethren. Instead, the car you see here comes across as a more settled and stronger SUV that caters to drivers who appreciate outright authority over unwanted attention. This subtle sense of style can also be experienced in its cabin. From angular air vents to the strategic use of textured rubber on the climate control knobs, the cabin leaves a clean and individualistic mark without losing its rugged disposition that has always been associated with the RAV4. Also ensuring the car's essence isn't lost, the new RAV4 - like its predecessors - continues to impress with its capacious cabin. 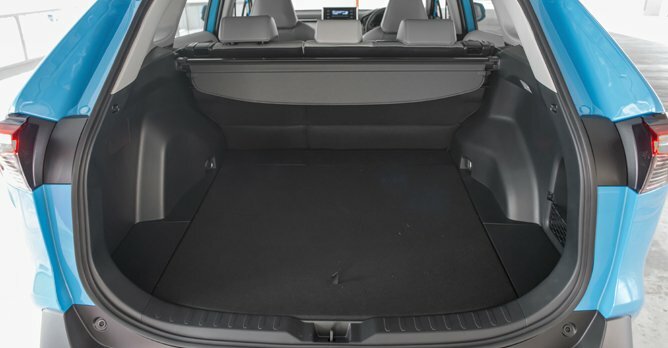 Comparing to its peers like the Honda CR-V and Subaru Forester, the RAV4 has plenty of space for occupants and cargo. It is long and wide, and has a lengthy wheelbase of 2,690mm. All these translate to a roomier cabin for three occupants all round at the rear bench. A generous serving of 547 litres of luggage capacity, of which can be extended to 700 litres with the seats folded, helps with the family weekend getaway as well as your weekly run to the supermarket. And that's not all. The fact that the car comes with multiple storage space doesn't harm one bit, too. From cup holders to open trays that come fitted with anti-slip surfaces, there is hardly a time when you'll find yourself having difficulties storing your barang barang. 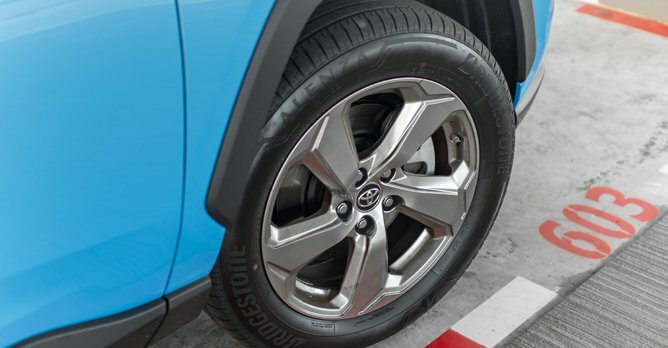 Thankfully, you won't be experiencing any difficulties behind the wheel of the RAV4. The 2.0-litre naturally aspirated engine pushes out 170 horses and 203Nm of twisting force to its front wheels. Despite its modest figures, the car manages to offer a fuss-free experience that's perky from low revs and refined at the higher end. This is quite a feat, considering most cars mated to a CVT gearbox are slow to pick up speed, and they tend to generate a drone that's more shaking than stirring. 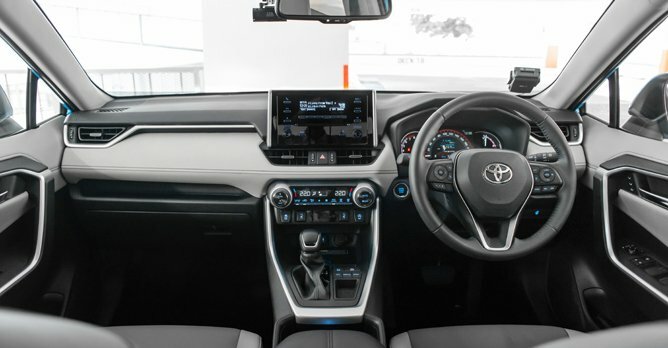 The RAV4's refinement also has largely to do with its well-insulated cabin, which keeps external noises well at bay and vibrations down to a minimum. Body roll and unnecessary swaying around corners are likewise kept under check, even as you attempt to go round long sweeping bends at higher speeds. It rides well, this car, with a suspension setup that will soak up badly constructed tarmac without any fuss. Still, the car isn't without its setbacks. For instance, the car lacks a sunroof, a feature that would have given the RAV4 a slight edge over its peers. Plus, during our time with the car over a four-day period, we managed just 11.6km/L - not too bad for a car weighing over 1.5 tonnes but far from its stated 16.7km/L. Although there are rivals in its segment that are sportier and more agile, the Toyota RAV4 brings a lot to the table. It comes with a lengthy list of standard features that delivers plenty of bang for your buck. 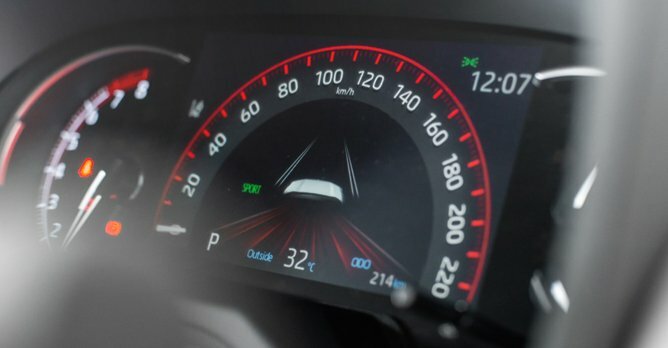 At $125,988 (as of 9 February 2019), the car comes equipped with automatic LED headlamps, wireless charger, powered tailgate, lane departure alert, cruise control, automatic wipers, auto hold function and hill assist, just to name a few. And as far as refinement and comfort go, the Toyota RAV4 is certainly up there with the best. Toyota Harrier or Rav4 2006?